The examples (vocal, bass guitar, snare, bass drum) discuss compression and limiting setups as well as ways to use the 1176 as a color box without compressing. At the end of the video Fab also compares a hardware unit with a few of its software counterparts to surprising results. 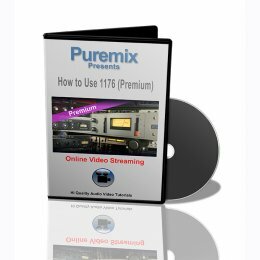 If you own an 1176 or if a plugin version of it came with your DAW this video will help you refine your skill-set to make sure you are using the 1176 compressor to its full potential.